Another year at Glastonbury for the dBs Music students! 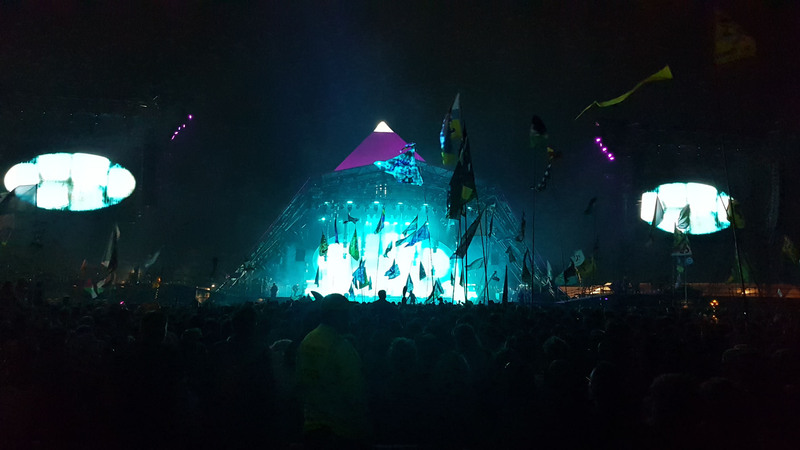 Each year a few of our dBs Music Live Sound students are selected to work at Glastonbury Festival on a variety of the stages, helping rig and run the sound. The students who attended this year were Jerome Attrill, Adam Gilbert, Harry Colwill, Lee Chance and Elliot Laere along with tutors Leo Brown, Olly Wickes and Simon Honeywill who are all teachers at dBs Music Plymouth. 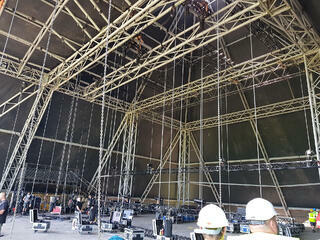 Between them the students worked on The Pyramid Stage, West Holts and John Peel Stage. The students arrived a few days before the festival started to begin, helping with set up. 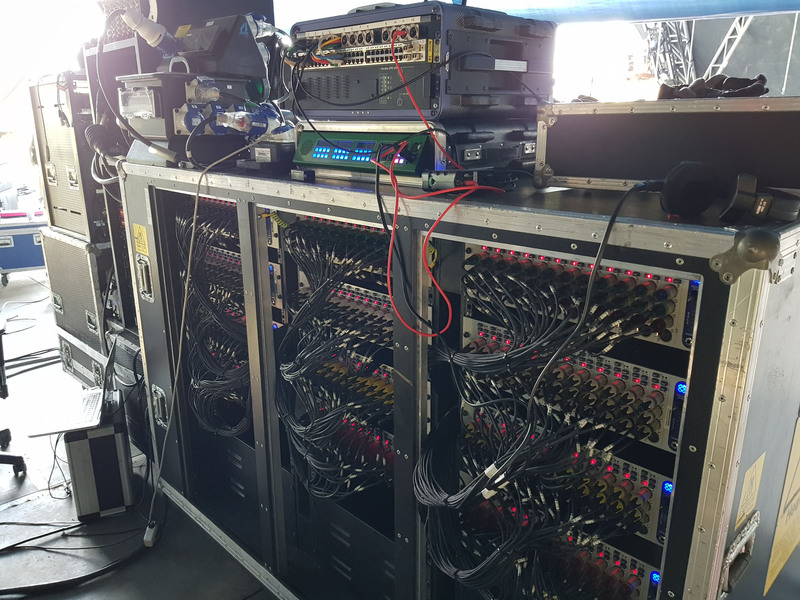 They were tasked with flying the main PA for the Pyramid stage as well as running the power and audio cables to front of house (FOH) and various places around the stage. Once the festival was underway their tasks included helping to ensure that each band were patched in to the stage boxes correctly as well as setting up mics and other kit. The dBs Music staff who were on site included Olly Wickes who was helping to run the West Holts stage? Leo Brown who, along with Adam Gilbert, setup and ran the Interstage gig that is held backstage on the Thursday night before the weekend kicks off. Simon Honeywill had a very big part to play in the festival as he was the sound consultant for the whole of the festival. Overall, everyone who took part had an excellent time that they will remember for years to come. If you think you’ve got what it takes to be part of the live sound world, check out our courses. Who knows you could be working at Glastonbury in a few years time.